A special adapter allows the connection of several kinds of regulators just removing the mouth piece. 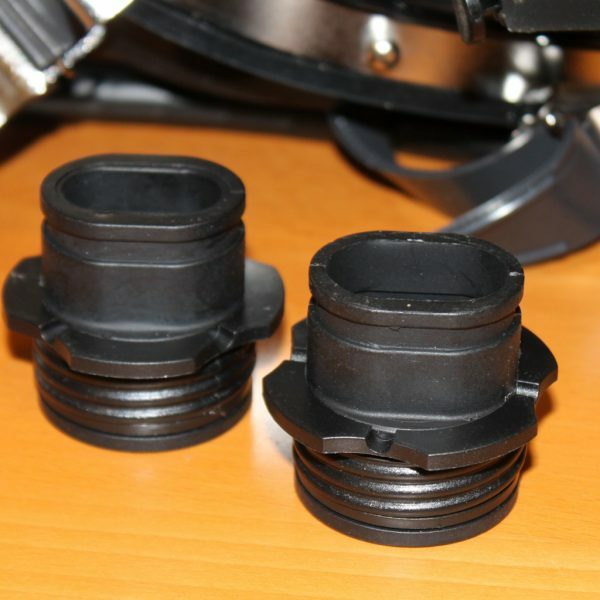 The adapter is available in two sizes, medium (standard) and small. This adapter fits in place of the surface air valve.